Kevin Bridges: A Whole Different Story. 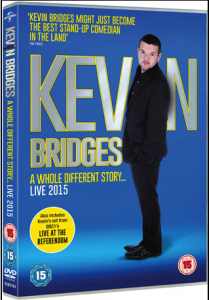 Kevin’s third DVD release from his sell out 2015 tour. Kevin Bridges: The Story Continues. Kevin’s second release – live from SECC. Intro and walk on music. Alan Carr Spexy Beast DVD and Live Tour Music. A High Energy Walk on piece for Alan’s Entry on to the stage. Dara O’Briain – This Is The Show. Kevin Bridges: The Story So Far. A full song to accompany a “The Sopranos” pastiche intro. Andy Parsons: Britain’s Got Idiots. Introductory music for Andy Parsons’ first full length standup DVD. Theme Song and film score. 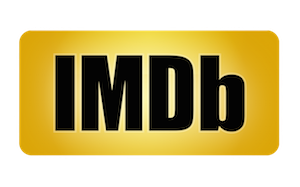 Superhero pastiche song American rock style and highly literal comedy film score. Channel 4 Comedy Gala at the O2. Upbeat funk rock for channel 4’s epic event at the O2. Otis Lee Crenshaw & The Black Liars – London Not Tennessee. Double bass player in “The Black Liars”; backing band for Rich Hall’s alterego, Otis Lee Crenshaw, the much-convicted country music singer.